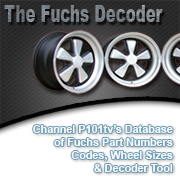 The eleven digit Porsche part numbers can be a bit of a mystery and knowing what they mean can be a big help when trying to track down that replacement part you need for your prize possession. Ever been confused by the Porsche 911 numbering system. Hopefully this article will help explain the Porsche 911 Nomenclature. On Porsche 911s between 1974 & 1989 the bonnet is released via a mechanical cable operated from within the drivers cabin. If this cable snaps, it cannot be opened by the traditional method. Heres how to open the bonnet or hood in the event of such a failure without causing any damage to the car. like tinkering, replacing parts or servicing your Porsche then your going to need to identify the correct parts when ordering replacements. Describing a part over the telephone to a supplier can work, but sometimes only the correct Porsche Part Number will do. Porsche maintain their own official Porsche (PET) Electronics Parts catalogue to make life easier. The headlights are a distinctive feature of the 911. They look integral to the car and look seamless in the way they are fixed to the front of the wings. Amazingly they are held in with only one small retaining screw, yet if assembled carelessly you can easily damage your paintwork.